Festive Fourth Flavor with a selection of Red, White & Blue finds from Atlanta based Dear Keaton. 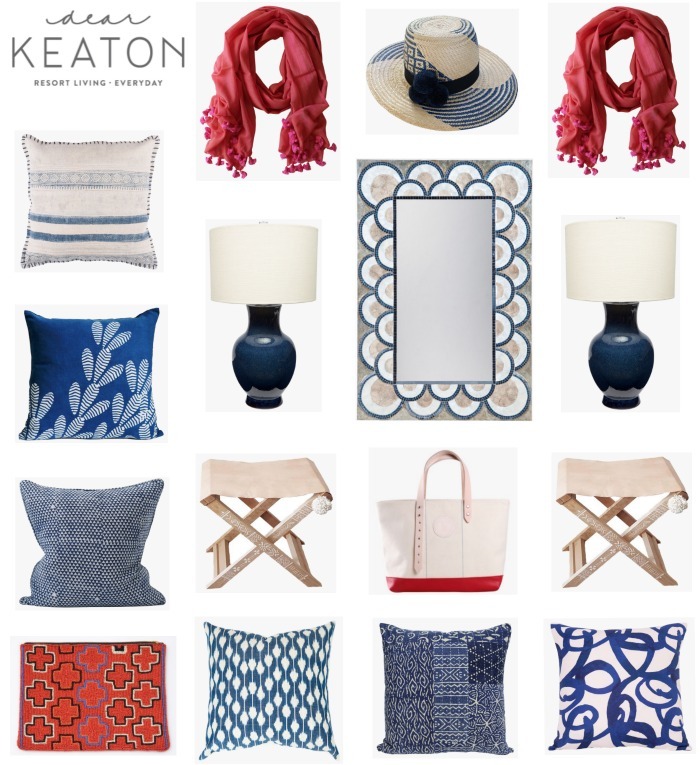 Dear Keaton founders, Christie Shepard and Chris Hutcheson, source the globe for distinctive decor accents and fashion accessories. The pair interpret their signature style through a curated mix of artisan wares inspired by the relaxed vibe of resort living.